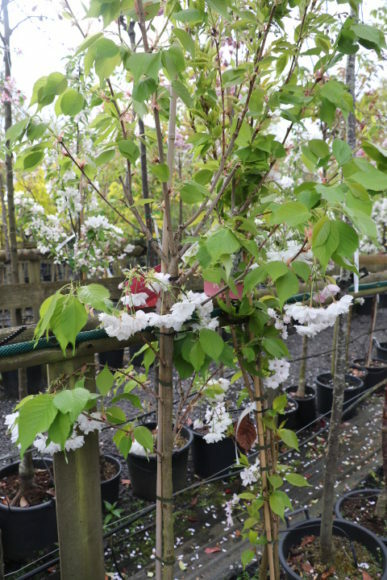 Prunus Shimidsu Sakura ‘Blushing Bride’ is a Japanese flowering cherry with an elegant spreading habit. 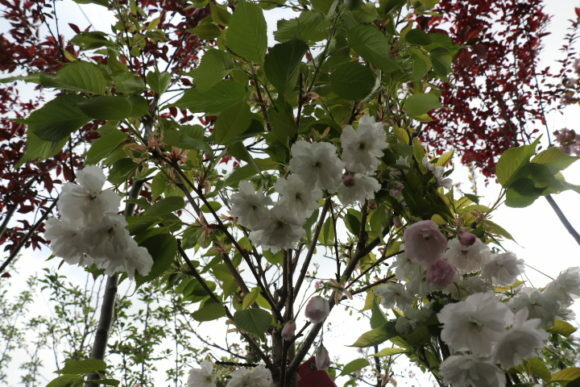 Large double, delicate flowers hang down in large bunches in April-May. They open pink and fade to a bright white as the season progresses. 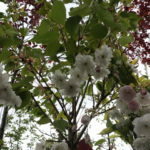 Prunus Shimidsu Sakura ‘Blushing Bride’ is pollutant tolerant and is therefore good for urban areas. The green foliage turns orange and red in the autumn. 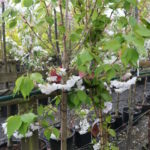 Prunus Shimidsu Sakura ‘Blushing Bride’ cannot tolerate wet or shallow chalky soils.